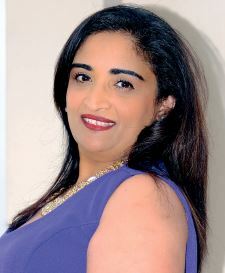 Vino Govender says that survival is the key to all aspects of her life. "Nothing has come easy, hard work and dedication has been the strong driving force behind my success." Over the years, Govender has been faced with many hardships. She was diagnosed with meningitis that resulted in a coma and was on life support, when her son was five years old. Two months after her recovery, she lost her husband through suicide. Thereafter, she was faced with the unexpected situation of being retrenched, leaving her with no money and highly depressed. Her son was held up at gun point and shot at within close range when he was 16 years old. And later, he was involved in a traumatic car accident, leaving him in a coma and his best friend dead. Govender says that the combination of hardships experienced would result in many individuals, especially women, not want to face the world anymore. "Even though I was faced with many traumatic experiences that had gotten me to the darkest phases of my life, I still managed to build up on my strength and willpower to get out of the darkness, for the sake of my son, and also achieve much more in my life." "I have tried to set an example out there, to let others know that nothing is impossible, as today I can say that I am the managing director of LA Consulting Engineers (Pty) Ltd, which was achieved through dedication, perseverance, and hard work." Govender was initially employed as an administrator at LA Consulting Engineers and ranked up the ladder as an associate, then financial director and eventually now managing director. After completing matric, Govender was employed at a bank and studied accounting. She moved on to do her articles, specialising in internal auditing and financial management. She commented that she has never allowed herself to sink in times where she felt that she was not capable. "I aligned myself with positive thinking individuals and like-minded individuals to uplift me. I swallowed pride and ego, and focused on goals. I accepted my mistakes and worked on corrections. I used my weaknesses to enhance my strengths. I never backed off from a challenge. I accepted that despite my limitations, I had time to grasp the moment and put my best foot forward." A challenge that she has faced determinedly has been being surrounded by an all male partnership and shareholders that were senior to her. "I knew at that point where I really wanted to be, in an industry where women, particularly Indian women, knew very little about. I crossed many hurdles with dedication and passion for my dream, making me a successful businesswoman today." Her hard work has resulted in Govender being acknowledged as one of Africa's 25 women in leadership in Africa. Govender says that she is now flanked by two dynamic partners, Alan Wright and Gordon Hutton, who provide balance to the company. "They have strengths of a technical nature, bringing the business that male dominant touch, whilst I provide feminism and an open door policy. Being a female in a male dominated environment has proven to be challenging; I have often have to work doubly hard as my male counterparts to ensure deliverance at all times." Govender is a consummate professional, and is a passionate, results oriented leader with excellent business acumen. She has a great ability to support, inspire and teach her team. Her approachable demeanour demonstrates great leadership as she always make time to provide direction and find solutions. "I always remain focussed, and also ensure that my team remains focussed on outcomes and ensuring work ethics at all times. However, I am flexible, and I am able to change my sails when the wind does not support the direction we are moving in." She says, "For us, staff are not merely numbers, they are individuals with their own dynamics and flair and we treat each staff member with the respect and dignity they deserve." We encourage all of our staff to reach their full developmental potential through the implementation of long term development plans, which are updated annually. Govender says that LA Engineering is passionate about its company social commitment initiatives (CSI), and have incorporated environmental management and awareness into their Business Management System and product realisation. However, she says, the company is far more passionate about the organic growth of its staff and the impact that LA Engineering has on them and their families. They are firm believers in generational growth as a true form of sustainability. The management team are committed to organic succession planning to ensure the long term sustainability of LA Engineering. "The world has become a place of turmoil and moral degeneration. We firmly believe that we can positively impact on the world not only by the work that we do in the communities that we serve as engineers, but also by positively impacting on the families and extended families of our own staff through the concept of generational building. We have also incorporated this concept into our CSI initiatives." Being devoted to charity work has helped Govender balance her family/social and work life. She spends her spare time with her son, spreading love at old age homes and orphanages, visiting the sick, encouraging troubled teens, and giving food to the poor. She added, "There is no doubt that the training and coaching that I deliver also positively impacts the lives of many and I know I have already made a difference, especially to young women. Therefore, I plan to continue being part of these projects as I have excellent people skills and I don't shy away from difficult conversations constructively held." "My son is the light of my life, has been my deepest inspiration, spurring me to succeed, and reach greater heights. Being able to juggle the life of mother, wife and career women has always been something that women face daily and I am no different."